One thing that I have learnt since my childhood is never to openly boast about my immature escapades, as I can never know the potential humiliation such behaviour would cause me several years later, when I am more mature. As children, we usually think that our escapades are feats of heroism – worthy of boasting about – without the flimsiest idea that we are exposing our immaturity and making complete fools of ourselves – something we may live to regret later on in life. That is why I am forever grateful that we never had social media during my childhood – did not even know how to use a computer till college – otherwise, I would have, most likely, posted some pictures and videos, which today would have made me wish the earth could just open up and swallow me. Such is the immaturity of some people in politics today – people we would have expected to know better – who boast about things that, in a normal setup, would be viewed with disdain, malice and contempt. I was reading, this morning, a document allegedly penned by a former Zimbabwe cabinet minister Patrick Zhuwawo – who apparently, is also ousted president Robert Gabriel Mugabe’s nephew – entitled, ‘2018 Resistance welcomes New Patriotic Front’, in which he revealed, amongst other things, his disposed G40 ZANU PF faction’s intent to re-enter the country’s political landscape as an opposition grouping ‘in order to reverse the November 15 coup’. After reading the usual political hogwash, that most of us have now become so accustomed to – when the very people who were at the centre of destroying the country and ruining the lives of its citizens, through skewed and chaotic economic policies, atrocities against the opposition, and brutal infighting amongst themselves, suddenly turn into democrats who stand for the people – my attention was caught off-guard by what I read next. In his desperate attempt to show how his uncle, Mugabe, was the best person for both ZANU PF and the country, and that his forced departure by the military signalled the death of the ruling party, Zhuwawo wrote something that I found utterly disturbing, but revealing. He compared what had happened to ZANU PF, after Mugabe, to what happened to other former ruling parties in the region. He wrote, ‘…it is important to note that liberation movements such as UNIP of Zambia, MCP of Malawi and KANU of Kenya have not been able to survive the departure of their founding fathers’. 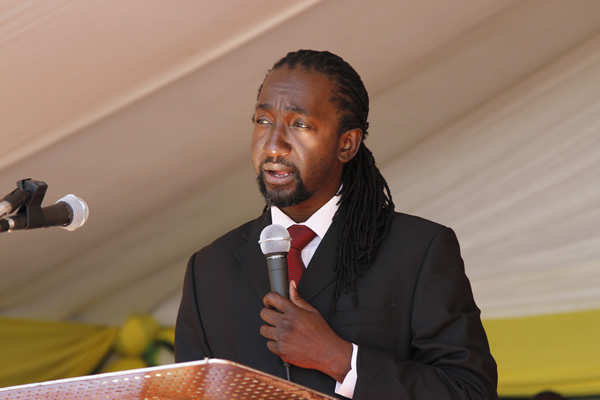 In my mind, Zhuwawo was sincerely trying to put in a good word for his uncle, and hopefully convince Zimbabweans of the folly of removing him as the leader of both ZANU PF and the country. Needless to say, such a statement by Zhuwawo was not only ill-conceived, but revealing. In his somewhat immature attempt to prop up Mugabe, as the alpha and omega for both the ruling party and country, he inadvertently exposed what type of a leader he was. A crucial lesson that Zhuwawo unfortunately lacked was that, any person whose leadership does not look ahead of his own tenure, is the worst leader ever. If I was to found an organisation – something I actually did during my immature high school years, where I formed about three charity organisations to assist students in need, of which none survived after my departure for college – the cardinal rule is to ensure its sustainability into the unforeseeable future. What my high school leadership skills – or lack of – clearly showed was that I was far from being a visionary leader, and further exposed my power-hunger, such that I could never envision any other leader besides myself – so, never made any provisions for genuine democracy, and leadership renewal. Every aspect of those organisations was centred around me, and me, alone. This not only led to poorly operated organisations – manned more by stooges than genuine thinkers, as I could not bear any perceived threats to my leadership around me – but, was filled by disgruntled members who feared, rather than respected, me. In those immaturity years, I learnt very valuable lessons about genuine leadership, which have benefitted me in my adulthood. Nonetheless, what we have seen in ZANU PF – and transcends to other opposition political parties, and civil society organisations – is that, although apparently led by grown-ups, they are run on my tyrannical and immature high school model. This is the same model that Zhuwawo boasted that his beloved uncle Mugabe used during his tenure – and as his (Zhuwawo’s) words so uncannily reveal – he was nothing short of an incompetent tyrant, who demanded religious allegiance and could not plan beyond himself. No wonder all the party regalia bore Mugabe’s face, slogans and songs glorified his real or fancied virtues, and robot-like loyalty by members. As much as ZANU PF has survived past Mugabe – for now, as it has only been three months after his ouster – the same immature leadership model has been wholesomely adopted by his successor, as the party swifty moves in creating a new demigod. Is it then any wonder that these parties – including the opposition – are then embroiled in endless infighting and splits? The invaluable lessons I learnt from my immaturity high school days are that a leader is dictated to by those he leds – they are the ones who give the direction the organisation should take – whilst, the leader merely galvanises the right people around him or her, usually, those more knowledgeable than he or she is. That is why in some of the most successful organisations and countries, their leaders are not that well-educated, but surround themselves with the right brains for effective leadership. Contrary to failed states like Zimbabwe, where the leader tells everyone what to do – and believes that he or she alone knows everything, and what he or she says is law – such that, it is not uncommon to hear people doing something just because their leader said so – even if it is the most disastrous thing ever. This would explain Zimbabweans’ – especially those in political leadership – obsession with obtaining PhDs – and ensuring everyone addresses them appropriately as Doctor So and So – as they believe these give them the clout to be received as effective leaders. In an organisation with good leadership, programmes are genuinely designed for the fulfilment of its objectives and goals, not for the leader’s personal glory and selfish ends – as we witness in Zimbabwe – as these are more often than not, shortsighted and misplaced. A good leader does not find scapegoats for anything that goes wrong during his or her watch, but takes all responsibility, even where he or she genuinely could not be rightly blamed – yet, in Zimbabwe, the norm is to always shift blame onto someone or something else. A genuine leader does not take offence to criticism, but values it as an avenue to improve him or herself – eventually being credited with an idea that came from critics. He does not view critics as enemies, who are worthy of nothing, but death or torture – all manner of criticism is valuable, as there is nothing like constructive or destructive criticism. A good leader listens to all criticism with the respect it deserves, and will not get offended because it was insulting – in fact, any leader who finds certain criticism insulting is not only immature, but also a self-conceited egomaniac. A leader who does not take responsibility for failures, and is not accountable to anyone is doomed. Leaders who are considered infallible are nothing short of mere immature tyrants – worthy of only leading some boozers football team. Zhuwawo should have known better that the real reasons UNIP, MCP, and KANU failed after the departure of their founding fathers, was because they were led by incompetent tyrants – and he should have thought twice before comparing this to his uncle – Mugabe. ° Tendai Ruben Mbofana is a social justice activist, writer, author, and speaker. He is the Programmes Director with the Zimbabwe Network for Social Justice (ZimJustice). Please call/WhatsApp: +263782283975, or email: [email protected]. Please also ‘Like’ the ‘ZimJustice’ page on Facebook. Yes, very selective in their application and enforcement of articles, while variously ignoring others, so as to “legalize” their personal and partisan agenda.. to the point that, in effect, Zimbabwe had no governing Constitution at all. The only way Mugabe was to be removed was from inside. Remember the wife said he will rule from the grave. Even within ZANU PF, they were fed up of the old man. Very shrewd and ruthless. A liar too. I think the removal of Mugabe was a positive step towards democracy. The only issue is there are some people who are feeding off the deteriorating conditions in Zimbabwe and do not want any semblance of order.